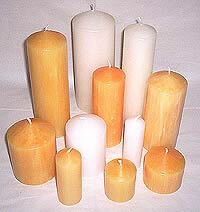 Wright Power candles are manufactured in Australia and are of the highest quality. Thay tend to burn with a large flame, while keeping dripping to a minimum. 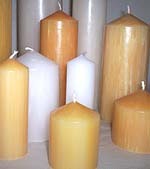 These candles tend to have a slightly mottled finish as pictured, particularly the beeswax mix. Prices and sizes are listed below for these candles.